AC&MS Ltd have a dedicated asbestos removal management team who are fully qualified in the supervision & management of the safe removal and disposal of asbestos by the British Occupational Hygiene Society (BOHS) proficiency module P406. The management team is supported by an efficient team of asbestos removal operatives who are fully qualified in the removal of non-notifiable products by a nationally recognised training provider. All non-licenced asbestos removal is carried out in accordance with L143 (Work with materials containing asbestos). In addition AC&MS Ltd asbestos removal management team can act in a supervisory role for the client in all notifiable asbestos removal carried out by HSE licenced contractors. Management of Asbestos Air Sampling, and Testing. 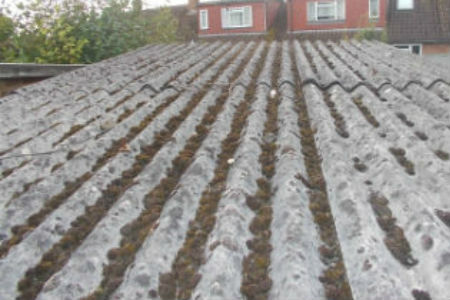 Asbestos Risk Assessments and Method Statement writing. Asbestos Consultancy and General Guidance in relation to asbestos matters. AC&MS Ltd can provide asbestos removal packages tailored to your requirements. The Asbestos industry is a highly regulated one and we pride ourselves on being accredited to the most stringent and highest standards. The safety of our customers and staff is always our main priority.